Until a matter of weeks ago I was a complete juicing virgin, then I turned 26 and got myself a juicer. Spurred on partly by Mike’s insistence that I would get bored after a week I have been juicing the crap out of anything I can get my hands on and feeling a darn sight better for it. So when I head about Juicemaster Jason Vale’s Big Juice Spring Clean I quickly signed up. I mean how hard can it be to live off of juices for 5 days? Well we’re about to find out. So what is the Big Juice Spring Clean? It’s basically a 5 day detox which promises to leave you mentally and physically re-charged whilst helping you lose up to 5lbs in just 5 days. Each day you have 1 ginger shot (totally as gross as it sounds!) followed by 4 juices of which you have the choice of two different types. If this sounds of interest you can check out the full plan over at Closer Online or watch Jason’s daily recipe videos here. So it’s almost the end of day one and it’s actually been easier than I expected, though I didn’t get off to the best of starts when I realised my avocados needed for the Turbo with a Kick juice had gone off after a matter of days! Not good, but I just left it out and carried on with my juicing. At first I was apprehensive about just how long it would take to juice my daily intake but I woke up just 20 minutes early and that gave me enough time to make my shot and three juices. I’ve been decanting my lunch and linner (yes that’s now a thing, like brunch but in the afternoon) into aluminium flasks to take with me to work and they seem to be keeping quite well. 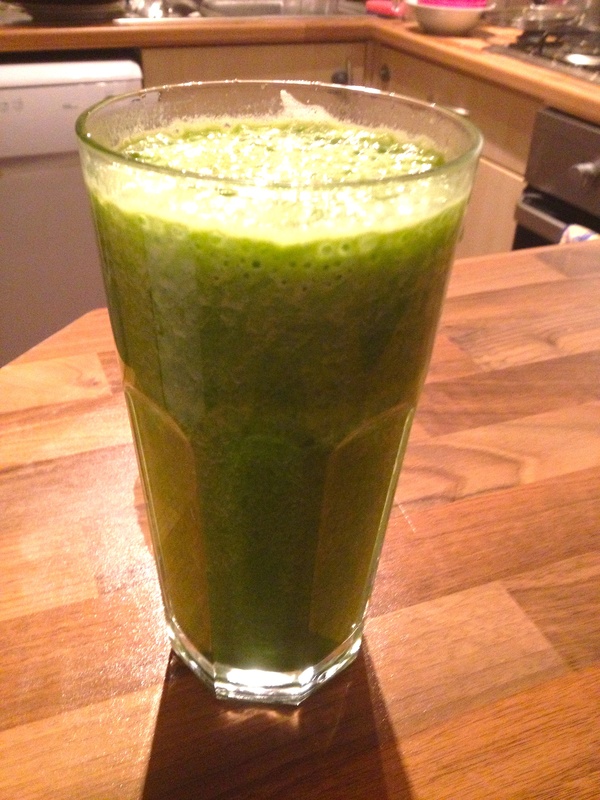 Today’s juices were the rather tasty Turbo with a Kick (pictured) and the not so tasty Natural Energiser. I had the Turbo for breakfast and am about to make another as my final juice of the day and then had the Natural Energiser for lunch and linner which was a bit tough as it really wasn’t my kind of juice. You’re also told that if you get peckish you can have half an avocado or a banana. Personally I felt I needed a little more than that so I bent the rules slightly and had some carrot batons with half a mushed up avocado and a smidge of garlic and a squeeze of lemon much like a homemade guacamole. It was super tasty and took the edge off of my hunger pangs. For me I think the hardest thing has definitely been the psychological side of knowing you won’t be eating proper food for 5 days. I’ve become hyper-aware of any food that’s near me and when one of my colleagues pulled out an easter egg earlier I almost had to mop my salivation from my desk such was my desire for chocolate. But I resisted and am sat feeling slightly smug about how well I’ve done so far (yeah I know it’s only the first day!). I’ve felt pretty tired throughout the day but can’t tell if that’s just because I had a lousy night’s sleep last night or whether it’s the effect of just having juice today.